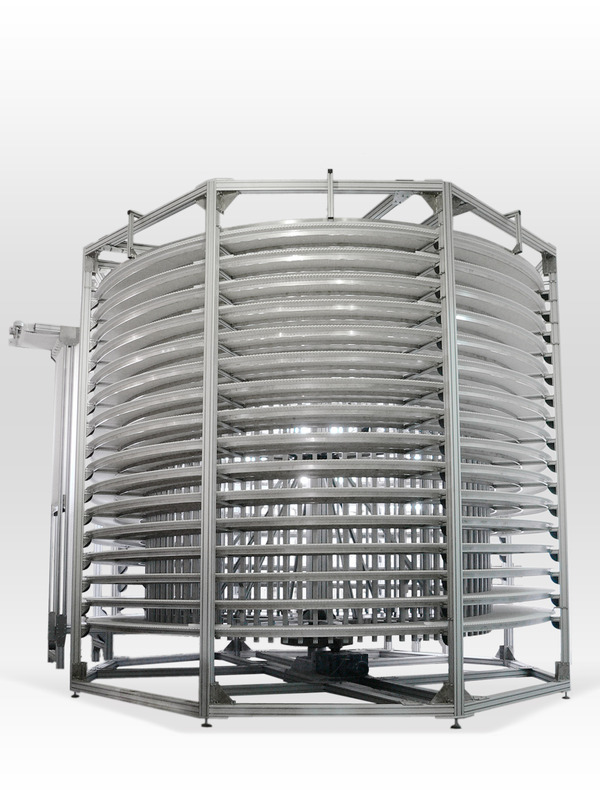 Spiral ambient coolers are solution which perfectly applies when there is a necessity of long term processing of a large number of products in controlled environment. When there are thousands of single piece products demanding slow cooling or heating, that usually consumes a large amount of energy and human labor. 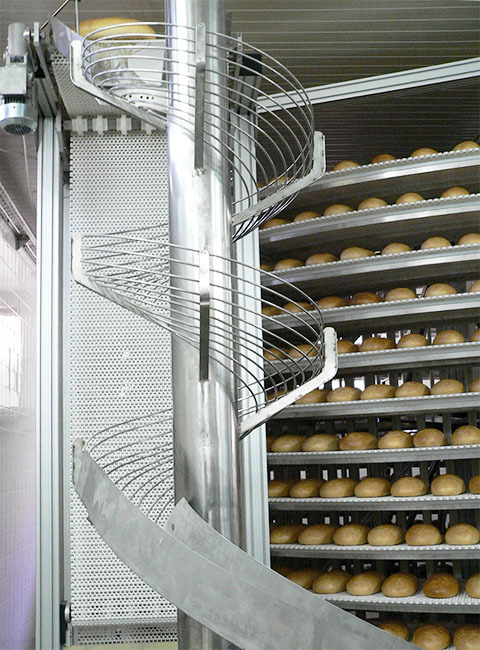 The usage of spiral coolers in this case optimizes the production process, by lowering the costs and increasing the quality of the end product. 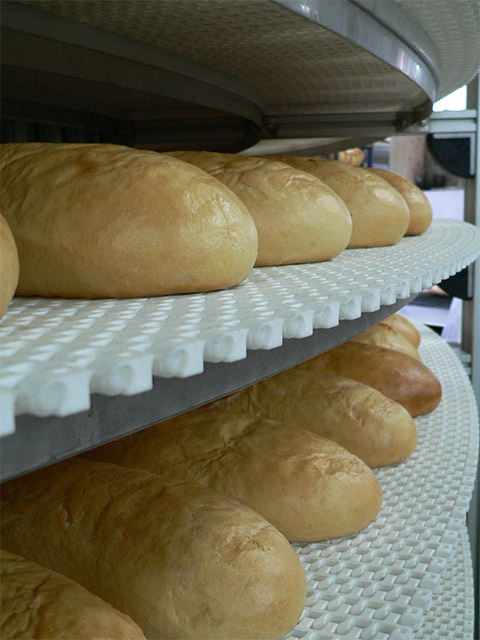 As an example, in the baker industry, the need of human labor between baking and packaging part is completely eliminated. 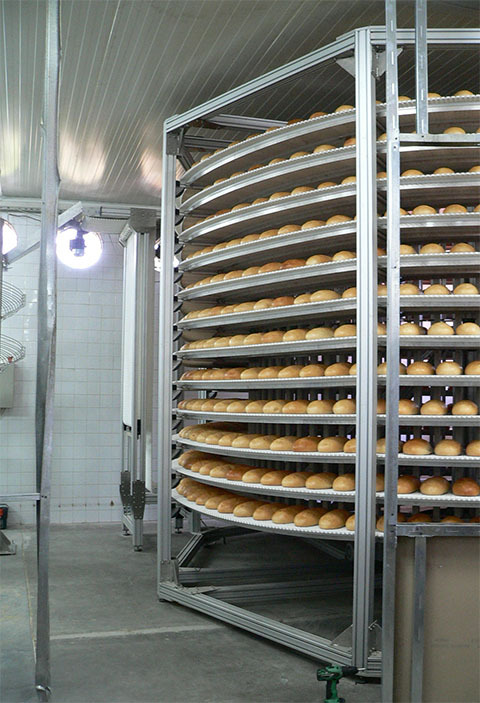 Other advantages of those systems is the large amount of production they can handle in relatively small spaces.The spiral shape allows processing of thousands of products simultaneously for the duration of 1 to 3 hours. In certain cases, this duration can be extended to match the specific product needs. 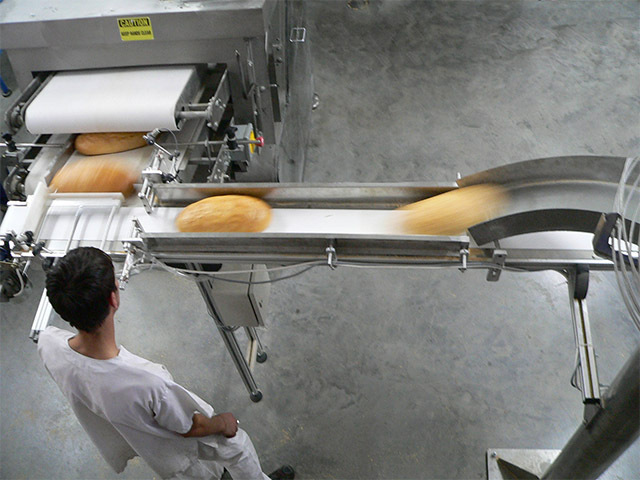 Depending on the efficiency of the production lines, the size of the product and the requisite processing time, a necessary technical solution is applied. which makes it perfectly suitable for usage in food industry, especially in bakery, meat, fish,vegetables, frozen foods processing etc. . 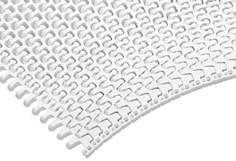 Along with the other advantages, the plastic modular belt is a much more flexible solution. 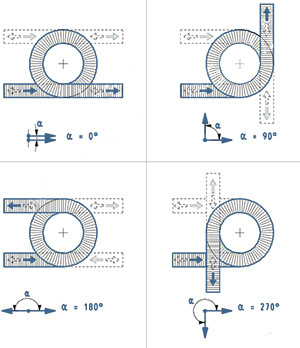 Cooler dimensions, angle and direction can be determined according to premises where it is intended to operate as well as the rest of the connected equipment. For example, the rotation can be performed clockwise or counterclockwise and the direction of spiral can be adjusted to up or down position. The angle between in-/outrun can be set to 90, 180 or 270°. The construction itself is made by aluminum alloys with protective layer of stainless steel. The product conveyance is done using plastic modular belts designed and approved for use in food industry, providing safe contact with product in -46 to 130 degrees celsius temperature range.